We organise company visits, international events, workshops and more…. “Stammtische” take place once a month – usually in the city centre. The time and location will be announced here and on our Facebook page. Interested students are welcome to join us at any of our meetings. Enjoy exploring our website and activities! Beginning in March EUROAVIA Munich started a collaboration with EESTEC LC Munich. The last weekend before Christmas, we were invited to join one of their soft skills trainings. The training took place in the for us rather unfamiliar city centre. 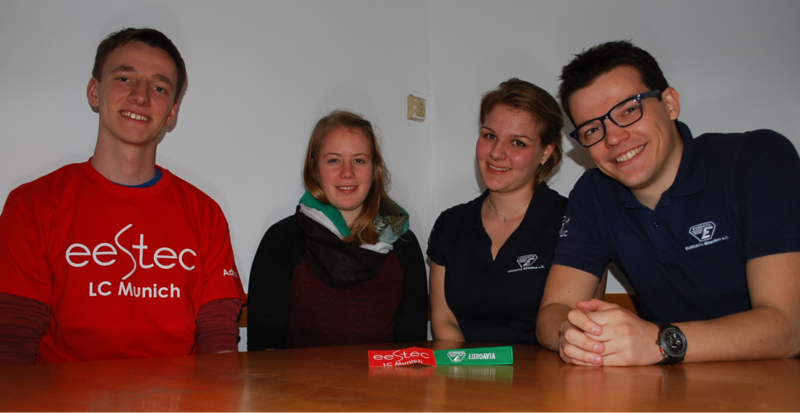 After our trainers from Munich and Karlsruhe introduced themselves, we got to know each other better. Some familiar faces were among those from EESTEC who had joined us for our company visit to Airbus in November. Though we met most of the participants for the first time, it didn’t take long before we started socialising. During the workshop we learned a lot about communication, especially about negotiation skills and giving feedback. The day was over in no time and we had the chance to conclude the nice evening with mulled wine and pizza. Since November 21st, EUROAVIA München e.V. has a new local board. 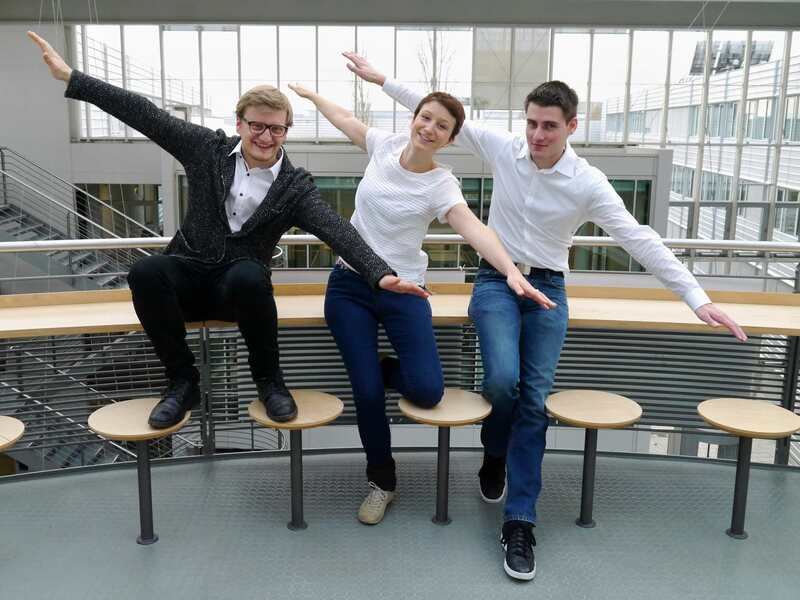 During the annual meeting Lucie Patzwahl was elected President, Philipp Jansche Secretary and Tobias Petry Treasurer. Jan Bilicki will support the Local Board as an Executive Member, helping with the organisation of events and company visits. The Board is looking forward to a successful business year 2017/2018! Airbus Defence and Space in Manching. The beating heart of the German aerospace industry and home to more than 6000 employees. And on the 16th of November, it was ours as well. 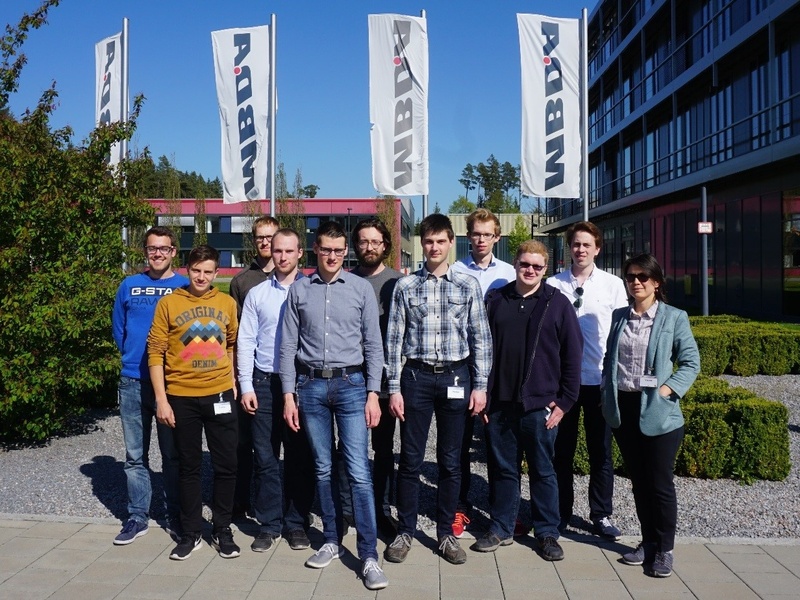 We means students from EUROAVIA in Munich and Stuttgart and from EESTEC (our colleagues from Electrical Engineering) and a couple of scattered software engineers. All in all, we comprised more than 70 people interested in the aerospace industry arriving in two buses. It turned out, there was a lot in store for us. After a quick introduction, we were let loose upon the ten stands were the different departments introduced themselves and gave us a look into their daily work – and their open job applications to consider. 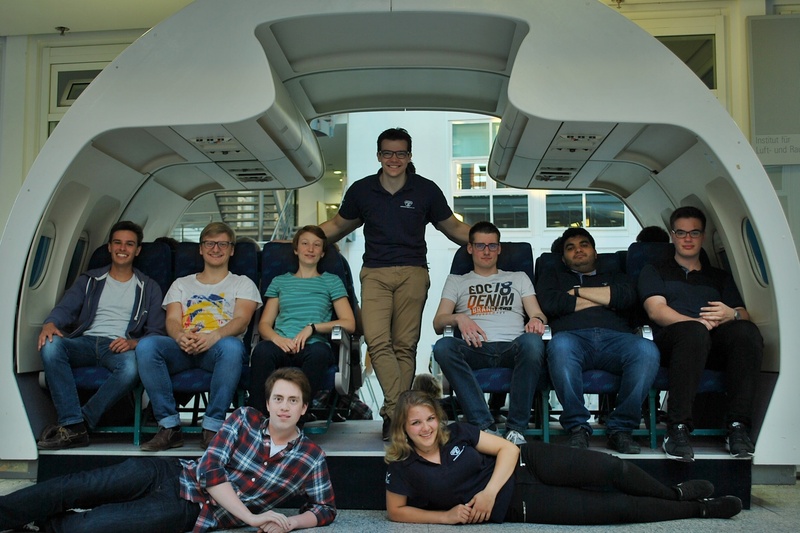 We met a sizable number of experts, from those with decades of experience in aerospace engineering to recent university graduates, among them former EUROAVIA Munich president Markus Geiser. The topics of the departments ranged from mission systems to flight testing over simulation and aircraft rigs to optical and photonics data processing. A lot of them also offered short tours around their laboratories and work spaces. Among these was the so called “iron bird”, a structural mock-up of the original Eurofighter to test actuators and sensors, and a laboratory, where strategies and ideas for the aircraft systems of the future are being developed and simulated in computer scenarios. A visit to the simulation laboratory offered us the unique chance to climb into the cockpit of the Eurofighter and take it for a spin – including the use of its complex systems. For most of us, looking at a aircraft means glancing into the sky and seeing a tiny dot moving, so getting up close and personal with aircraft is quite a rare opportunity. We, however, were delighted to be indulged into a site tour which meant going toe to toe with the 11 ton, Mach 2 capable Eurofighter Typhoon, Europe’s most modern fighter jet. Other aircraft included the P-3 Orion, the A400M and the “eye in the sky”, the NATO E-3. All of this was topped off with a visit to the on-site museum which comprises the last two flying World War II Messerschmitt Bf109s with their original Daimler-Benz DB 605 engines. This was a truly outstanding day, full of new experiences and chances for all of us. A big thank you must go out to Airbus, whose employees were most forthcoming and eager to share their passion for aircraft and technology with us. At last, but not least, thank you to everybody who took part in this, because you and all your well-crafted questions and impressive résumés make this all possible and create opportunities like these. 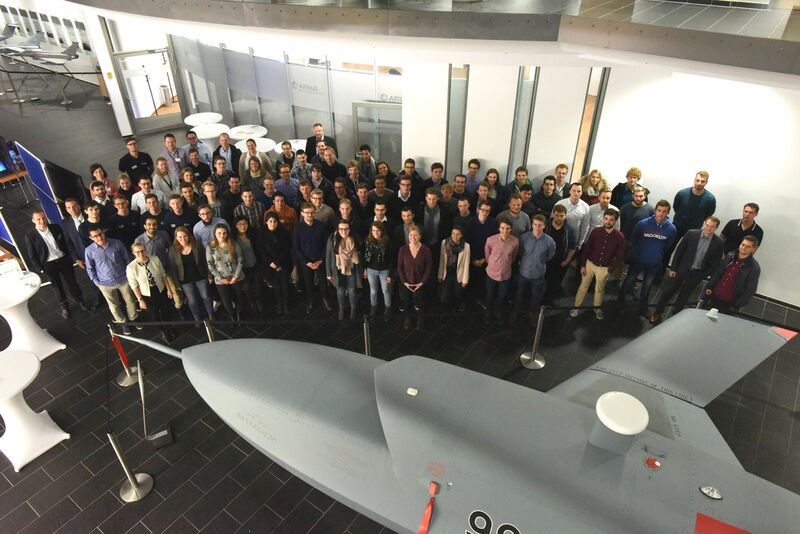 October 28, ten first years and members had the possibility to visit and get to know the second biggest airport in Germany. After a routine security check we enjoyed a 90 minutes long bus tour around the airport grounds. We got a good look at the aircrafts from up close and watched them being (un-)loaded, rolling on the taxiway, taking off and landing. Besides the terminals we saw the snow ploughs, gritters and de-icing machines. We even had a short introduction into the work of the airport firefighters. The cargo terminals and hangars of Lufthansa CityLine were also included in the tour. During all the tour we were told interesting facts about the airport, its history and all the airlines. Our tour guide knew all the airlines and where which aircraft was heading or coming from. All in all we spent an exiting 2 hours learning about all the processes that make an airport work, from a perspective you normally don’t experience as a travelling passenger. 18 July 2017, we had the opportunity to spend an interesting afternoon at IABG. After an introduction about the structure and history of the company and a generous lunch, we were given a tour of the testing facilities for the space sector. As we had to observe clean room conditions we had to put on full gear first. We visited the vibration test facilities where vibrations shocks and accelerations are simulated. Afterwards we saw the acoustic laboratories where the structure is tested for noise and acoustic stresses occurring during launch. We were able to take a look into one of the EMC chambers where systems are tested for their electromagnetic compatibility. Finally, we visited the thermal vacuum chambers for simulating and testing under space conditions. All in all, we were offered a fascinating insight into the space flight test centre of IABG. A warm thank you to Ms Peters, Mr Pischel and Mr Bertram for this unique opportunity! This June, Le Bourget, the biggest aerospace fair and air show, made the hearts of our members beat faster. The local group of Paris organised a Fly-In and invited EUROAVIAns from all over Europe to be part of this event. Obviously, an offer like this had to run out of places very quickly. So EUROAVIA Munich decided to organise a 4-day trip to Paris for their members. Soon after arriving at the fair, we were completely captivated. Above our heads planes and helicopters showed their artistic manoeuvres and precise formation skills; on the airfield an Ariane 5, an A380 and many others were shining in the sun; in the exhibition halls the companies presented their newest developments and technologies. 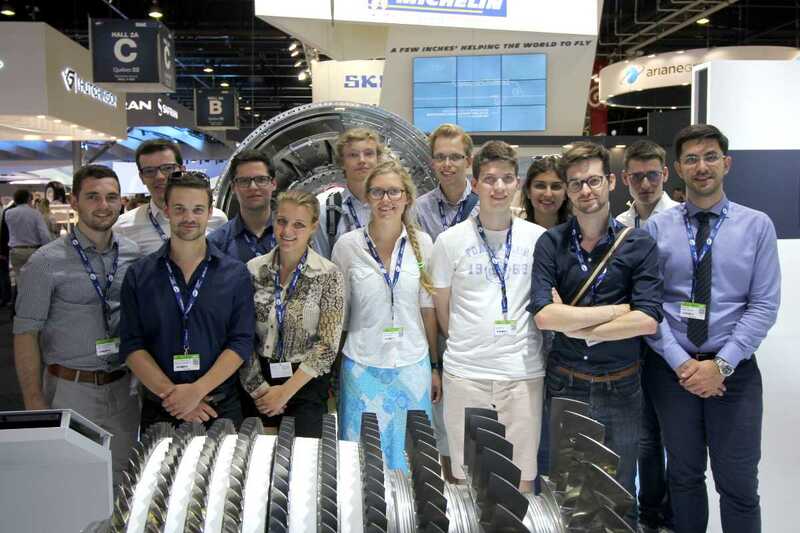 Thanks to the tickets sponsored by MTU, we had the opportunity to visit during the trade visitor days, during which significantly more models and planes are displayed and the company representatives seem more willing to answer all the questions students normally have. That’s how we established contacts to the industry, received opportunities for jobs, internships or final theses, enjoyed almost private tours through planes and came to talk to the pilots. 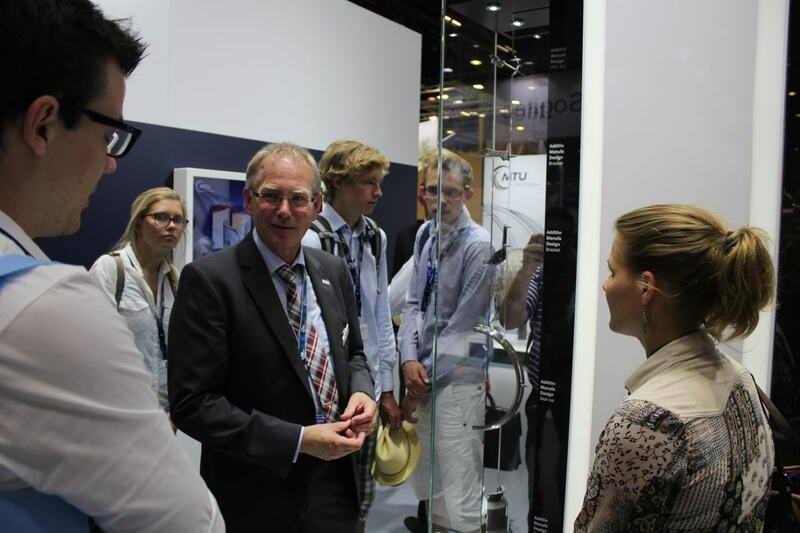 Providing tickets for the International Board as well, we had the chance to meet them at the fair and together take part in a guided tour at the MTU stand. To make sure we survive the day, MTU offered us drinks and food, as well as answers to the thousands of questions we had for the experts in their VIP lounge afterwards. At this point a special thanks to MTU for providing the tickets and to all the helpful employees on-site! Le Bourget is big: It was impossible to see every interesting bit of it on one day. So we decided to visit it the following day as well. That night, after we satisfied our curiosity and pushed our legs to their limits, we were happy to fall into our beds. Despite the marathon-like distances we walked the days at the fair, we did not miss our chance to explore Paris. We went down the catacombs, up the Eiffel Tower, had crêpes in the old city and an evening picnic at the Seine. In short: We enjoyed the city to its fullest. So, when we were boarding onto our plane back to Munich that Sunday night we all knew: This will not have been the last time we paid Paris and Le Bourget a visit. We are looking forward to our next trip!